Can you find great quality industrial crane services for affordable prices? Of course you can, but you also need to make sure that you are getting the best information as you make your selection of a crane rental company to hire. Price is not all you need to know, you need to learn what options the company offers, what experience they have and more. Even the type of equipment they have is important to know when you are handling jobs of different sizes. For example, if you have a job that requires a 450 ton piece of equipment and another one that requires rough terrain equipment, wouldn’t it be nice if the company you hire can handle both those needs? That’s something that you need to look for along with what options they can provide you. For example, if you have machinery issues, can they repair it? If you are pressed for space and need to move materials, machines or waste to an off-site location, can they accommodate your needs for that as well? There are so many things to consider and the more information you get about the group you are thinking of hiring, the more confident you will be in your decision. Furthermore, hiring the right subcontractor will reflect better on you as a business as well because they will help to get the work done safely and in time. Rent-A-Crane not only offers a great selection of industrial crane services including rigging, repair and storage, but we pride ourselves in delivering outstanding quality work for an affordable price. However, we make sure that safety is our top priority because we know it’s the only way to ensure that the work will be done by its deadline and mistakes are not made. The thing about industrial crane services is that they always come with challenges. You think that a project is going to run smoothly and suddenly there are weather issues, equipment problems or something else that creates delays. This is when you will be happy that you didn’t just hire the first rental company you spoke to. You did your homework, you looked for a company that is experienced in handling these types of projects and knows what to do whenever a curveball comes their way. There’s going to be a lot of questions that come up when you are looking for a new subcontractor, but a great place to start is always with experience. The more experience you have as a company, the better prepared you will be as a company. One thing our clients have also appreciated is our dedication to safety. That’s more than just a tag line, it’s a fact as we know that nothing on a construction project can be rushed. Rushing only creates more mistakes and on a construction site that can be a real problem. Mistakes can cost thousands of dollars, cause delays that last days or even worse, get someone injured. That’s why, it doesn’t matter how much of a rush you are in, we make safety our top priority, but we still meet our deadlines. 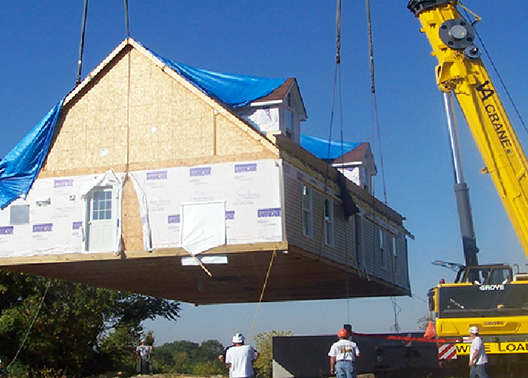 What separates our industrial crane services from the rest in Virginia is very simple. Experienced help, safety first and we get the job done. That may not sound very flashy but the contractors who have worked with us for decades don’t hire us because we’re flashy. They hire us because they know that they can rely on us no matter the size of the job and get elite work done each and every time. If you would like to find out what makes us the best in town, contact us today.